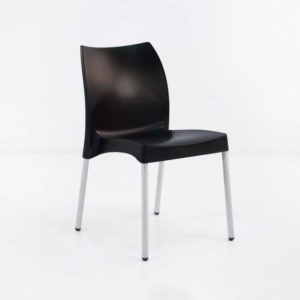 The Libby Café Dining Chair modern classic tub chair in black with aluminum legs. 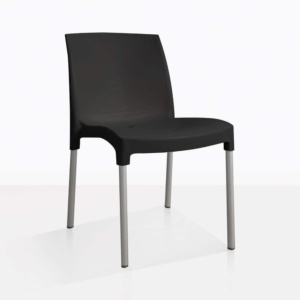 Create a contemporary dining set with this strong and witty café dining chair. Its curvy design is fun and will keep you inspired to dine outdoors. 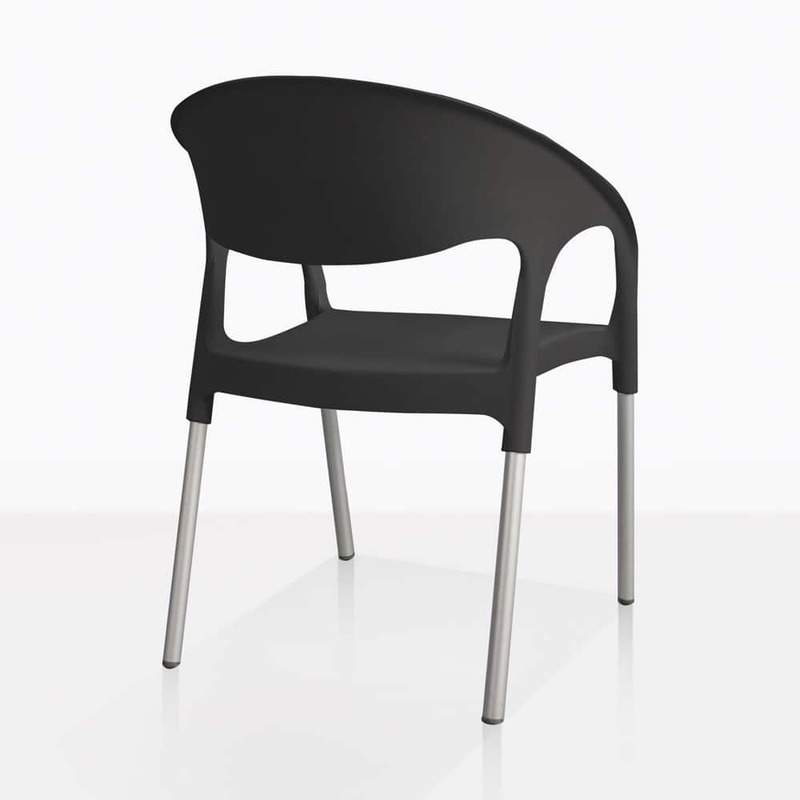 This café dining chair is constructed with polypropylene and aluminum. 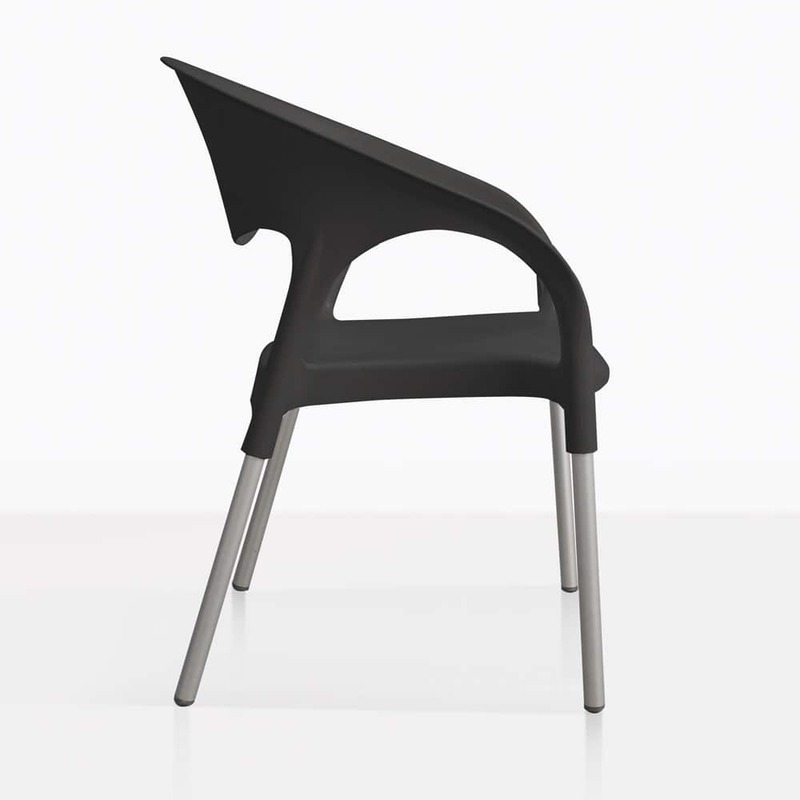 These materials make this chair durable, lightweight and easy to clean. 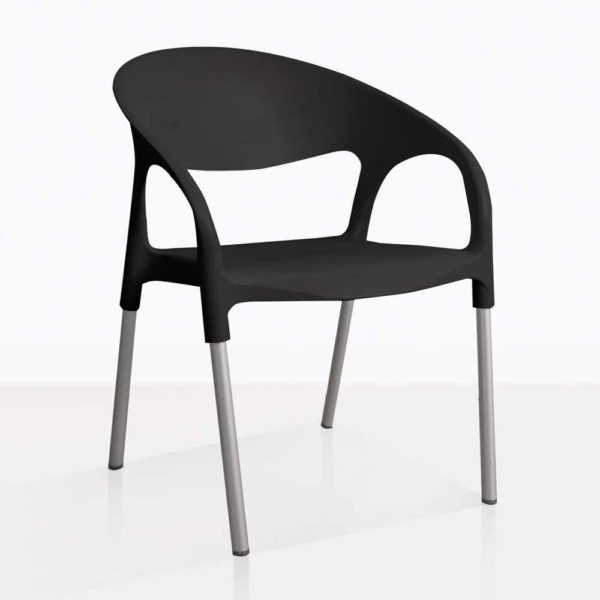 We love this café dining chair with our raw concrete dining tables. 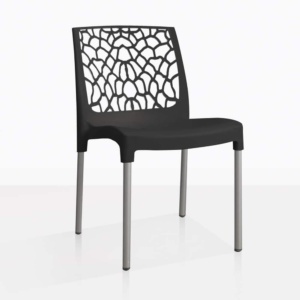 It also pairs well with our large selection of a-grade teak dining tables. The choice is yours!